You can listen to this post by clicking the play button below. As I pulled away from dropping my son off at his work orientation (I can’t believe I just wrote that and we are in this moment of life), I headed toward the practical, good use of one and a half hours – the grocery store. Instead of my car sliding into the open parking spot, it seemed pulled away, as if it had a mind of its own. I gave into the urge and left practicality behind. This is so not who I am. Spontaneous and unpractical. I pulled right out of that grocery store parking lot, and my car happened upon the coffee shop. I had a book in my car, and suddenly the thought of a cup of coffee in my silent car with only a book to keep company with seemed more than my needy soul could handle. The drive-thru line moved at a summer pace. I was unbothered. I had an entire hour and a half. When it was my turn at the window, the wait continued. I smiled, chatty with the window worker. Who needed to be bothered by impatience and time on this beautiful afternoon? I breathed slow and deep. Sunroof open, windows down. Smells of fresh cut grass and coffee wafting in and out. I leaned back into the headrest and released a long held breath. I was just at this coffee shop last week with a friend. A conversation popped in my head. She told me about a nail salon around the corner she’d heard great things about. I leaned forward considering the idea. An hour and a half I’d planned to grocery shop and wait in the car for my son could turn into an hour and a half of a pedicure, book, and cup of coffee. The giddiness began to rise right on up. She handed my coffee through the window as I offered back an exuberant thank for an insanely overpriced latte. I pulled into the nail salon, picked out my color, and took my seat. The kind man led me to a chair waiting just for me. I pulled up the legs of my jeans, lowered my feet into that soothing, smell good water, turned on the massage chair, and opened my book. Some moments in life are right there. Right within our reach. We see it, we are touching it. 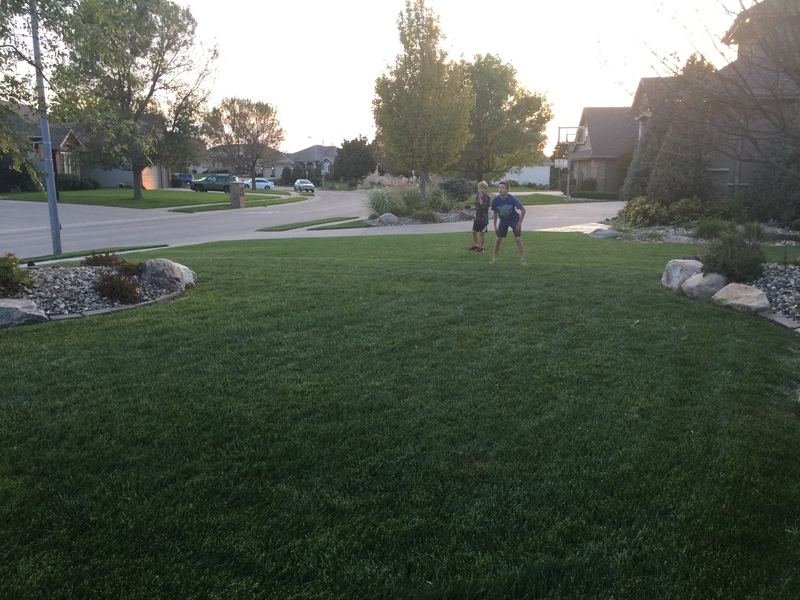 It’s almost….then it’s gone. And like that it’s gone before we ever held it. Or we held for a moment, only to have to release it before it belonged fully to us. These life moments are sometimes trivial like a pedicure and coffee. But sometimes they are the biggest moments of our lives. Sometimes they are moments we can simply accept and move through. Sometimes they seem to steal our breath and drive to move forward. I developed a habit as a kid from divorce. 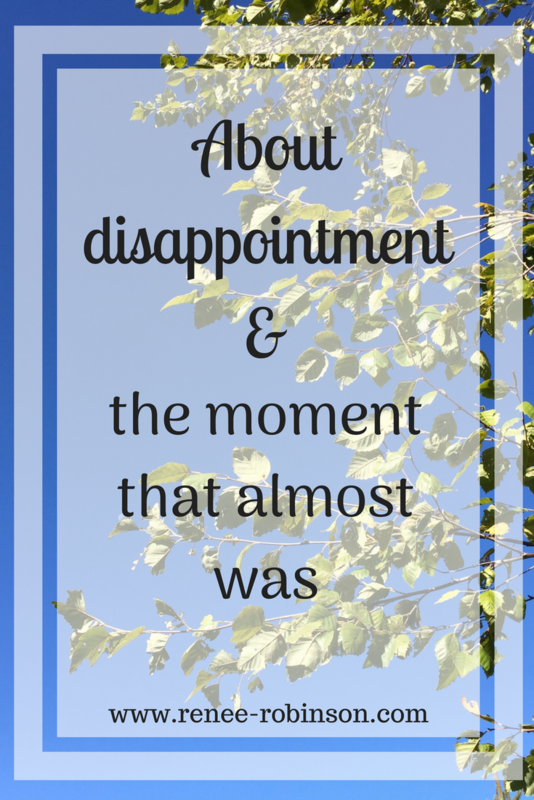 I taught myself to prepare for disappointment so the sting wouldn’t last as long. 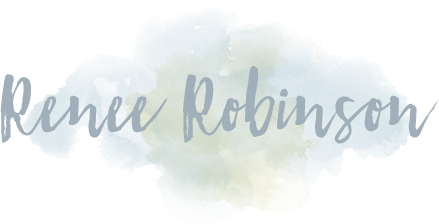 As I’ve grown up, particularly in my walk with Christ, He’s invited me to stop blocking the pain, and instead let Him become for me what I can’t be for myself. My Comforter and My Healer. As a kid blocking pain, I told myself I was okay. It would be okay. Everything would be okay. It was the only way I knew how to cope. Christ offers something radically different. He tells us it’s not okay, we aren’t okay, but it’s all okay because He is here with us. If I continued on my childish ways, I’d continue growing in self-sufficiency. This is the very thing in my life I’ve been slaying. It’s anti-cultural. The messages that tell us we are enough, we are strong, we are brave. They focus on us, building us up. But I am not enough. I wasn’t created to be enough. I need Christ in every moment of my life. Christ wants to be our everything. He wants to take our disappointment, our pain, our hurt, our loneliness. He wants to hold us right where we are in order that we can get up and move with hope. When my son got in the car, I could relate to his disappointment. He had a day of similar disappointments. I didn’t try to fix his problems. I simply kept company with him. God will be for my child what I can’t be. He will be the ultimate comforter and healer. As I’m learning to allow God into this space of my heart and my soul, I’m seeing the beauty of watching Him do the same in the lives of my children. My tendency has always been to try to fix things for people. Mostly because I don’t want them to hurt or feel disappointed. While God will at times use me as an instrument of healing in someone’s life, I’m learning instead to wait on His voice to direct me. Sometimes He gives me words they need. Sometimes He tells me to sit quietly. It’s a process. Some disappointments and pains are easier to heal than others. Some take days, weeks, months, and years. I know He is faithful. I keep redirecting my mind to who He is apart from what He does. His nature and character, revealed in His Word, center me. 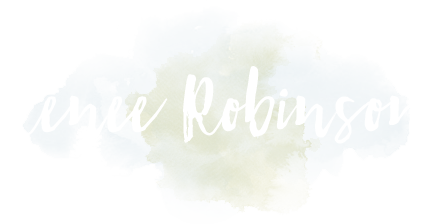 I’ve prayerfully created a resource for you to guide you as you journey more intimately with God. Our souls long for us to tenderly care for them. 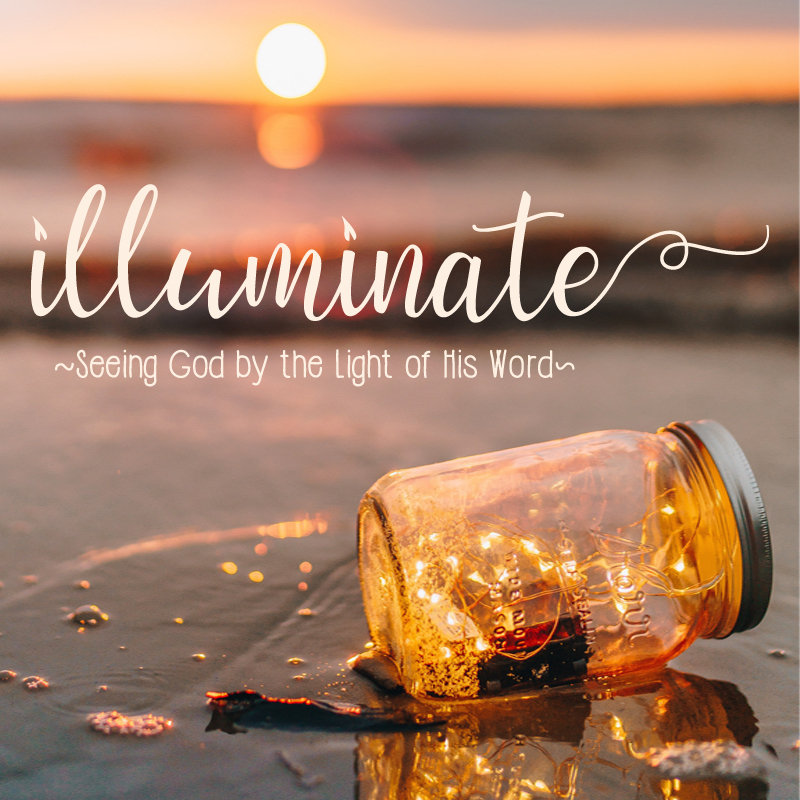 Take a 14 day journey with me through Illuminate – Seeing God by the Light of His Word. I’ve created it in such a way that you will receive 14 emails, one per day. Each day will include an audio and a print link. You can simply hit play and allow yourself to relax and listen. Or you can read if you aren’t an audio lover.I’ve heard from many Illuminate listeners that it’s become their favorite part of the day. 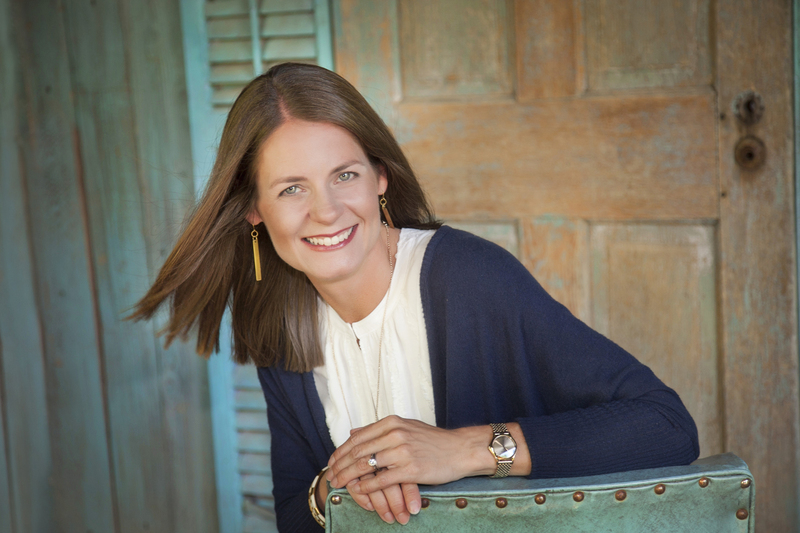 It’s a break from the race and a redirect to the One who desires to walk with us intimately. For the month of May I have something really special for you so you can share Illuminate with your friends and family. 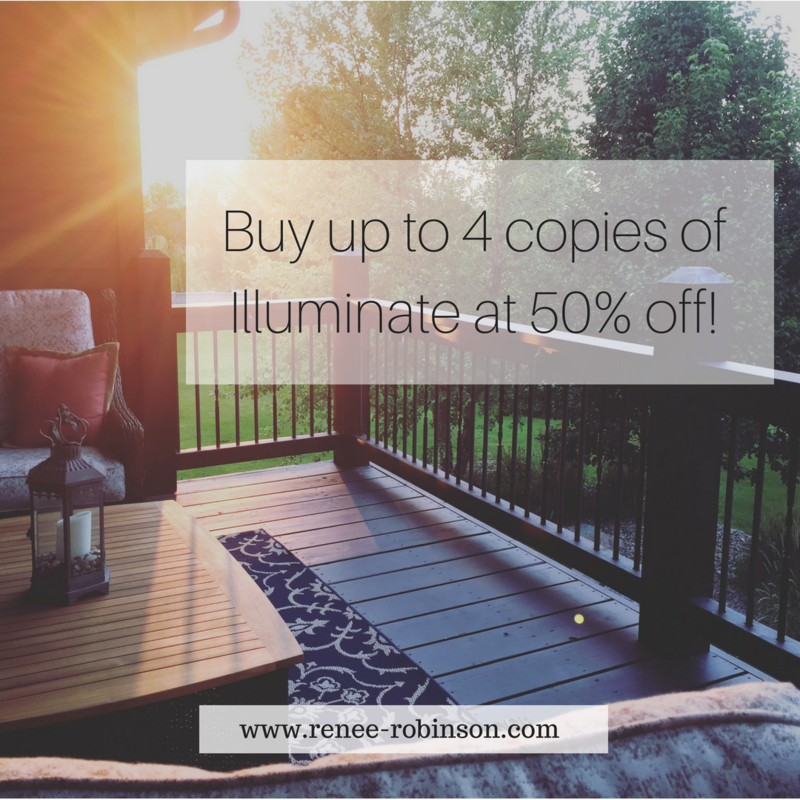 Once you’ve purchased a copy of Illuminate, you can purchase up to 4 copies at 50% off. Basically, get 2 copies for free! This applies to any who has already purchased a copy as well. Simply reply back to this post or contact me directly with your original purchase date or email address and I will give you a unique coupon code. I’m so fearful to share this with you, so here goes!